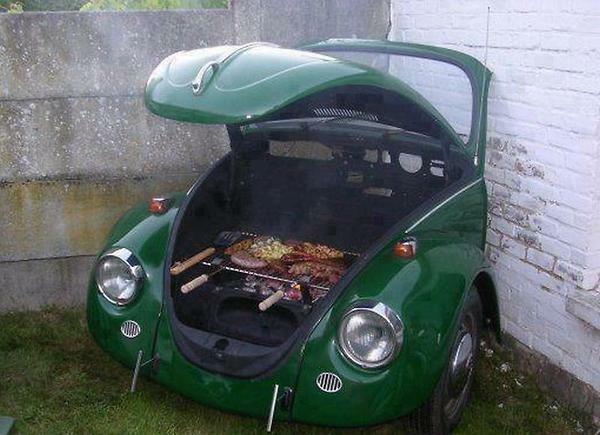 The sun is shining in Blighty and the barbecues are out, but it’s not just the sausages that are sizzling. Someone’s temper is reaching boiling point because…..
3. The woman prepares the meat for cooking and takes it to the man who is lounging beside the grill, beer in hand. 5. The woman goes inside to organise the plates and cutlery. 6. The woman comes out to tell the man that the meat is burning. He thanks her and asks if she will bring another beer, while he deals with the situation. 11. The man asks the woman how she enjoyed ‘her day off’. And, upon seeing her annoyed reaction, concludes that there’s just no pleasing some women. In my seminars, I often ask how many people feel over appreciated and how many people feel under appreciated. Out of the thousands of people that I’ve spoken to, not one person has ever raised their hand to the former, but hundreds have raised their hand to the latter. As the psychologist William James said, "The deepest craving of human nature is the need to be appreciated." Is there anyone you know, who deserves to know that they’re appreciated? Exam question: “Use the word diploma in a sentence”. Teacher: "Who can tell me where Hadrian’s Wall is?" Biology teacher: “What happens when the human body is immersed in water?" Teacher: “What does the 1286BC inscription on the mummy’s tomb indicate?" Pupil: “Is it the registration number of the car that ran over him?" Teacher: “Where’s the English Channel?" “I was thrown out of university in my first year. I cheated in the metaphysics exam. I looked within the soul of the boy sitting next to me.” – Woody Allen. This entry was posted by admin on August 19, 2018 at 6:25 am, and is filled under Sunil Bali, The Art of Awesome Living, The Book of Awesome Humour. Follow any responses to this post through RSS 2.0. Both comments and pings are currently closed.